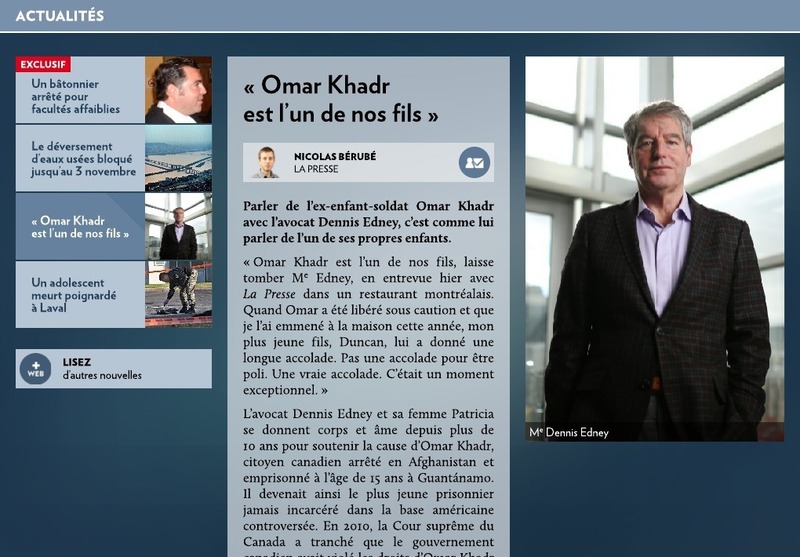 Dennis Edney was in Quebec this weekend where he was invited to talk about Omar’s case on Tout le Monde en Parle. 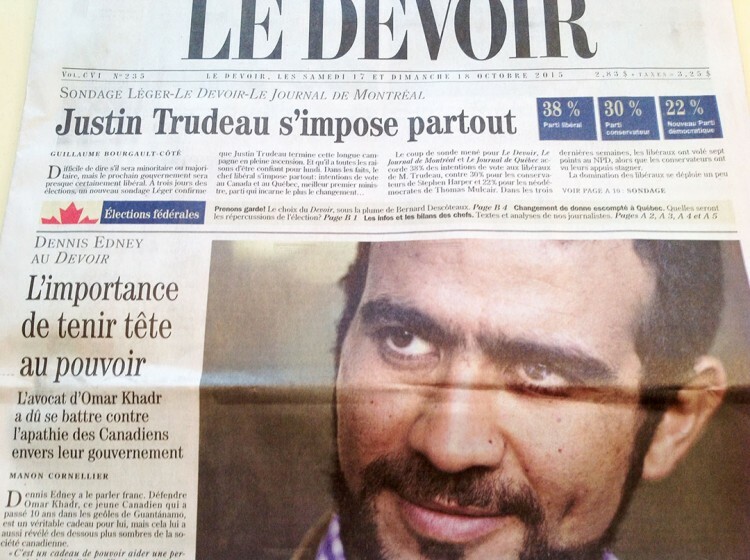 The French language daily newspaper, La Presse, published an article, entitled “Il est un de nos fils” (Omar Khadr is one of our sons), after interviewing Dennis in Montreal this weekend. The heart-warming piece covers the decade long struggle Dennis and Patricia underwent to bring justice to Omar. 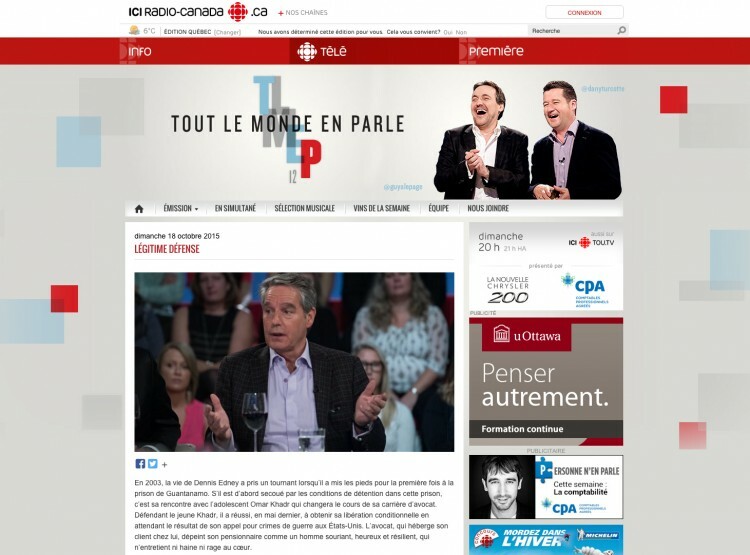 Another Quebec based paper, Le Devoir, published a piece this weekend, titled “L’importance de tenir tête au pouvoir” (The importance of standing up to power), about Dennis Edney’s long fight against the Canadian government’s apathy.